Nearly 350 species of fish live in the Chesapeake Bay. 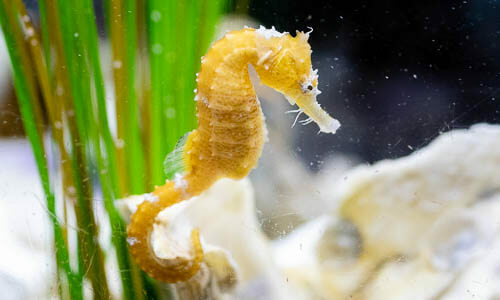 Some fish are year-round residents, while others swim into the Bay from the ocean to feed, reproduce or find shelter. 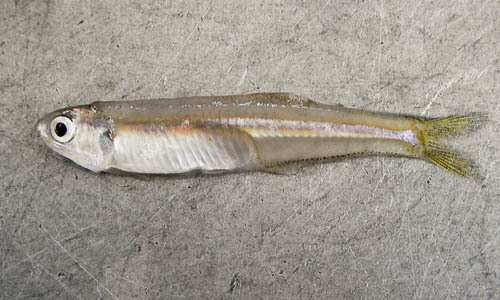 The Atlantic silverside is a small forage fish with a silver band along either side of its body. 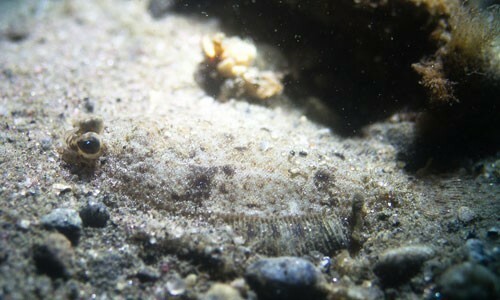 It can be found in schools in the Bay, and is an important part of many larger fishes’ diets. 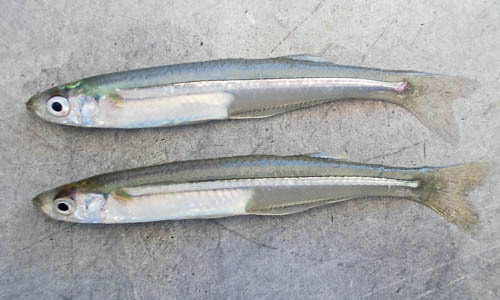 The bay anchovy is a small, translucent fish that lives in schools throughout the Chesapeake Bay. It is the most abundant fish in the Bay. 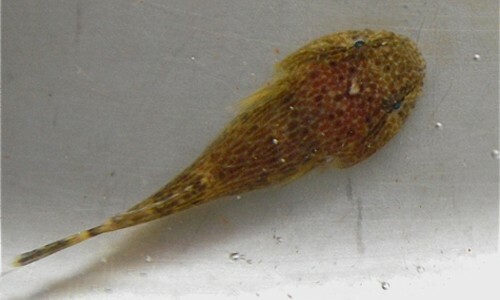 Blennies are small, brightly colored fish that live in the Chesapeake Bay year-round, mostly among oyster reefs. 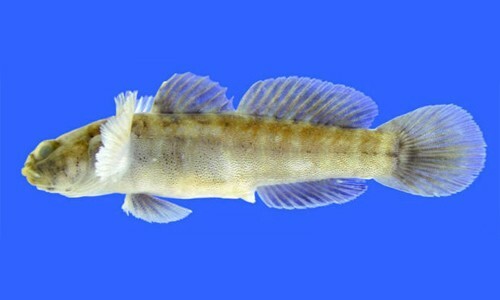 Gobies are small, secretive fish that live in the Chesapeake Bay year-round, mostly among oyster reefs. 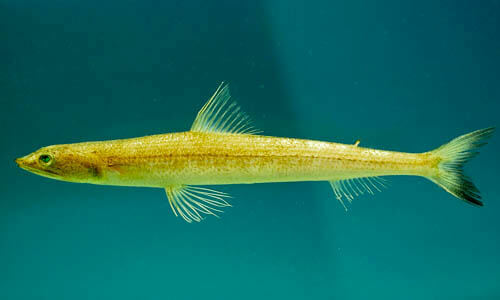 The inshore lizardfish has an elongated body, pointed snout and large mouth with sharp teeth. It can be found in the Bay as far north as Annapolis in the west and the Chester River in the east. 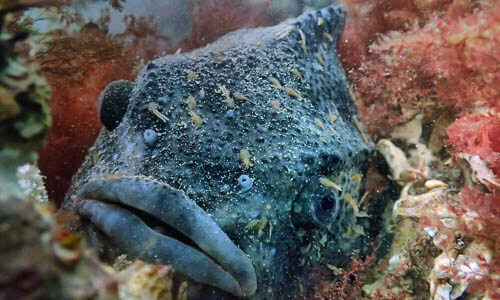 Lumpfish are saltwater fish, generally living in the North Atlantic but occasionally coming as far south as the Chesapeake Bay. They have a skin-covered fin that gives them a high crest on their backs, and they have three rows of bony protrusions on their sides. 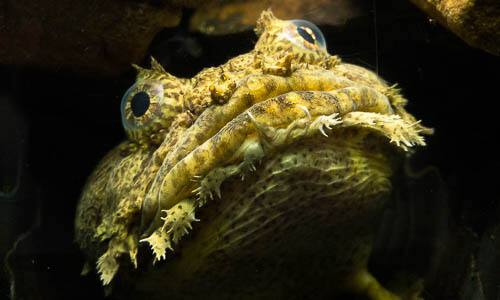 The oyster toadfish is an ugly fish that lives year-round in oyster reefs and other shallow parts of the Chesapeake Bay. 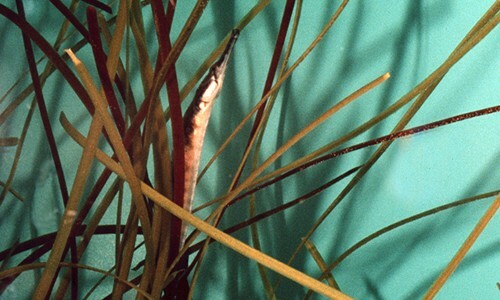 Pipefish are small, skinny fish found among bay grass beds throughout the Chesapeake Bay. 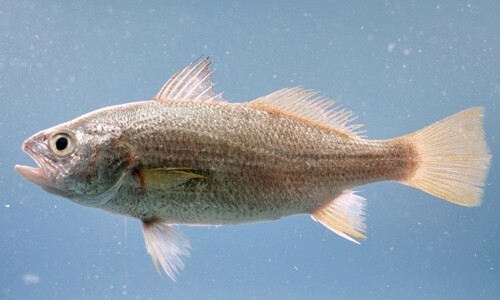 The silver perch is a small drum with a silvery body and yellowish fins. 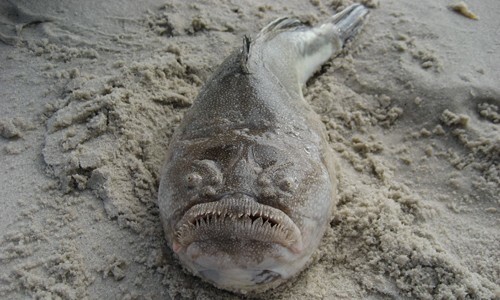 It lives in the Chesapeake Bay year-round, most commonly found in shallow waters from spring to autumn. 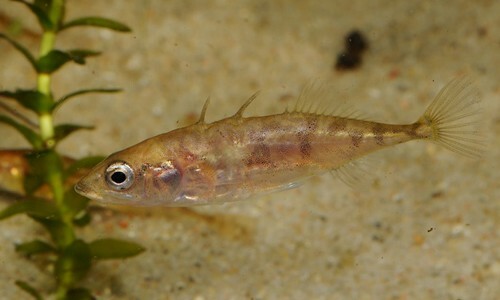 Sticklebacks are small, scaleless fish with spines along their back in front of their dorsal fin. 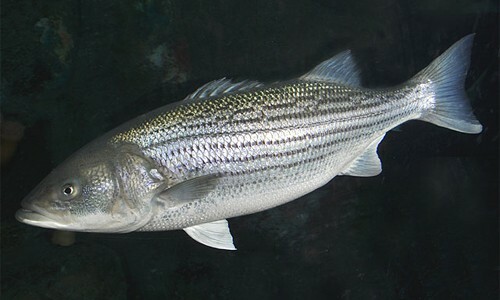 Also known as the rockfish or striper, the striped bass is a large predatory fish with dark stripes running across its metallic sides. It lives throughout the Chesapeake Bay and its tributaries year-round. 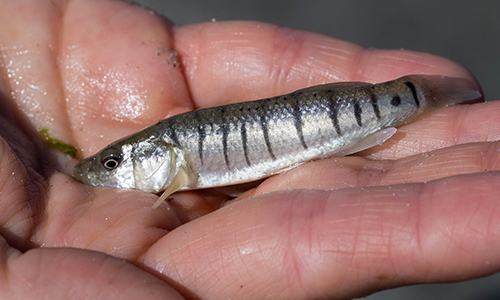 The striped killifish is a silvery, minnow-like fish that lives in the tidal creeks and sand flats of the Chesapeake Bay region. 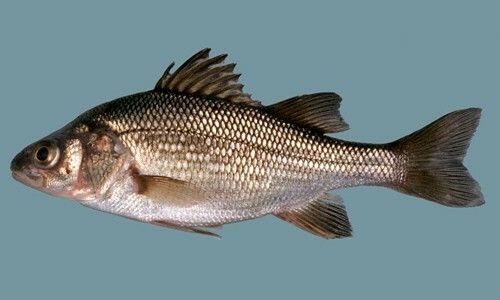 White perch is a small, silvery fish with a dark, highly domed back. It lives in fresh and brackish waters throughout the Chesapeake Bay and its tidal tributaries. 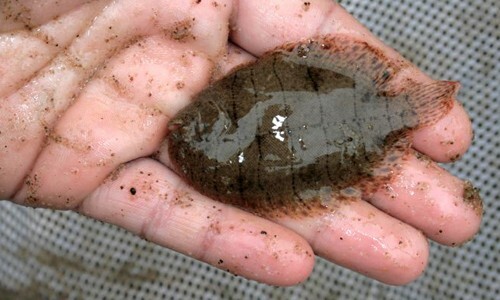 Also known as the black back, the winter flounder is a sizeable flatfish whose small head and mouth are located on the right side of its body. 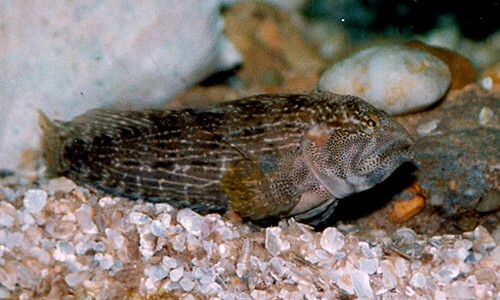 Well-adapted to living on the bottom of the Chesapeake Bay, the winter flounder is a common find and popular catch during colder months.